Wargaming is testing new game mechanics for PvP - a shrinking map is rumored to be considered a possible counter measure to tactical play camping for quite some time now. I guess it doesn't have to be as drastic as a ring of fire that is closing in from all sides, dealing damage to any ship that comes into contact - but it certainly works. 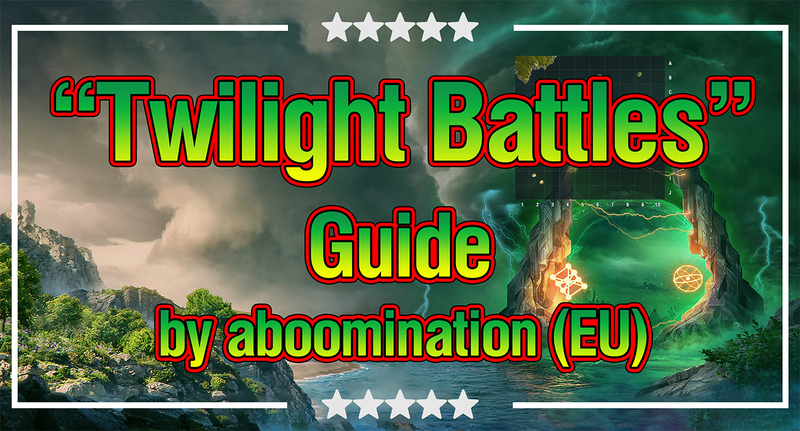 It's basically many maps in one - which enables all types of ships to be played to their strengths at some point in the match. So you'll kinda have to keep your lineup in mind in order to figure out how to strategically approach a match of Twilight Battle (i.e. which phase will favor your team the most), while your tactics mostly evolve around the special consumables. I guess it doesn't have to be as drastic as a ring of fire that is closing in from all sides, dealing damage to any ship that comes into contact - but it certainly works. It's basically many maps in one - which enables all types of ships to be played to their strengths at some point in the match. So you'll kinda have to keep your lineup in mind in order to figure out how to strategically approach a match of Twilight Battle (i.e. which phase will favour your team the most), while your tactics mostly evolve around the special consumables. The ring of fire doesn't sink ships instantly, in fact it doesn't deal any noticeable damage from my experience. 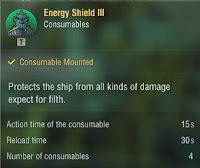 It rather serves as an impressive visualisation of the approaching filth that comes after the fire - I've been testing the filth on some ships and it turned out that you can expect to survive for 60 -130 seconds within the filth if you entered at full health (DDs survive longer than cruisers who survive longer than battleships). Shield abilities don't work against the DoT (exception being the Ghoul). It's certainly possible to lose your ship to the filth, but the mechanic allows for smaller individual misplays, unless you're sailing a battleship. Most problems I've witnessed on the PTS evolved around players not understanding the identity of their ships, i.e. how to make use of their advantages, especially their special consumables. 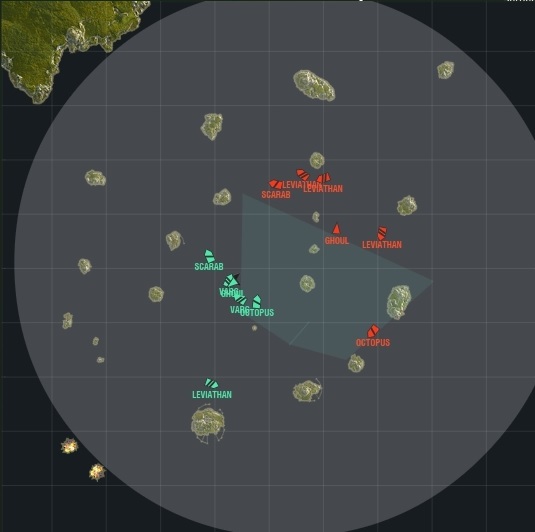 Mastering these is way more important than any map tactics, since most matches turn into utter chaos rather sooner than later - due to generally shorter than usual gun ranges (the cruiser "Octopus" being the exception). Then it'll come down to the individual player's skill to make their consumables have the best possible effect on their team's chances and the team's responsibility to recognise this. An example: The Leviathan can create healing zones, which of course have to be used by as many of the team's members as possible. Just playing these ships as if they were normal tech tree ships won't bring enough to the table. A typical Twilight Battle after two minutes. The grey area shows the shrinking ring of fire. Here's a general overview of the individual ship's comfort zone. Except for Scarab - she just has no choice. The Scarab's is a Charles Martell who's main battery range has been reduced to 12 km, which is the second worst of the cruisers and battleships. 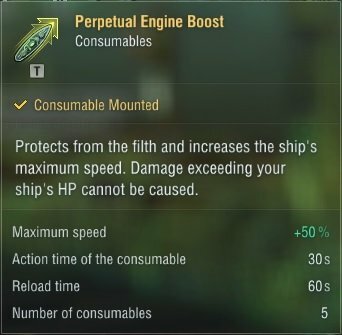 So, playing it safe is not an option - on the plus side, she got her rudder shift buffed to 6.1 sec, which is 0.5 sec faster than a double steering mod build on the Charles Martell. But that's not all - her top speed with flag sits at 47.3 knots, which makes her the fastest of the bunch (Ghoul can go up to 60 knots for 30 sec due to her consumables). 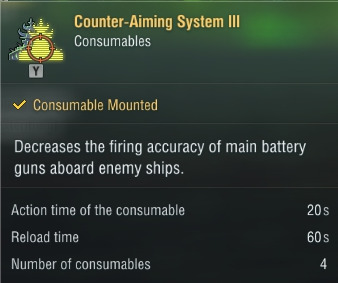 Lastly, her gun reload got buffed by 27% to 8s and her maximum concealment is 1.1 km better than that of her french tech tree sister. But the damage of her individual shells got nerfed by around 30%, so Scarab gains a bit flexibility (especially with Expert Loader) at the cost of slightly less dpm and of course alpha strike potential. 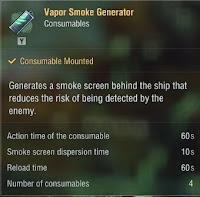 So, Wargaming wants us to get very close for a tier 8 cruiser - her speed allows you to dive into engagements, but they have to be picked carefully. Your Armour will be overmatched by both Vargs and Leviathans, so make no mistake: In this sense it's still your typical t8 cruiser. I guess this is Wargamings testing ground for concepts that aim to improve this class' friendliness towards newer players - and what they came up with are Scarab and Octopus. Scarab survives based on situational awareness, wasd hax and skillful use of her consumables. Yes, I already saw you imagining her running away the whole time, dodging BB shells frantically, but dying nonetheless. And yes, it's a cruiser - enter the consumables: She's got three gimmicks which all focus on defence in some sense. Biotic Armour turns all received damage into heals, making her invulnerable for 15s and healing her up considerably if you time it right. Keep in mind that 15s will sometimes barely cover the shell flight time, so don't pop it too early and exclusively if shells are in the air, so that the enemy can't switch targets in time. Biotic Armour: Don't shoot her now, unless your shell travel time is sufficiently high. Otherwise you'll just be printing her a new ship. 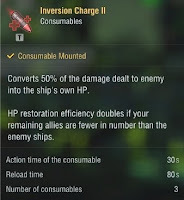 Inversion Charge grants a heal of 1000 (2000 if the enemy has more ships) for each hit scored to enemy ships for 30s, which covers four salvos at best. Still, in a 1v1, this can provide a huge advantage as long as you can avoid getting one-shot. Lastly, Scarab has access to the well-known hydro acoustic search, emphasising her role in the front lines. Despite the theme, she's still a squishy cruiser and will evaporate quickly. Pick your fights with care and take it easy at the beginning. We pick Priority Target to get a general sense of how badly they want us dead. Expert loader to be able to react faster to angling ships. And Incoming Fire Alert will help with using Biotic Armour to greater effect. AR is an obvious choice, since we don't need EM. Next we pick Superintendent to make your hard life last a bit longer, hopefully. Our relatively low gun range puts us in danger of catching torpedoes - Vigilance will help with that. RPF will also reduce the torpedo threat and enable us to put our great top speed to use while chasing down destroyers. 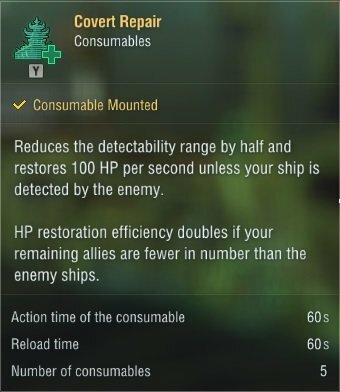 Camo Expert should make life easier in early game, enabling us to disengage faster. I don't know if Rasputin managed to trick Cthulhu and stuff his soul into the hull of one of the many Mogamis that fell victim to the rough t8 MM, or if he joined the Twilight fleet willingly - but here we are. This is a 155mm Mogami with buffed range (best of the bunch by 2km), worse rudder shift, higher speed and slightly nerfed concealment (0.3km). Overall it's a favourable trade for the Octopus. While his biggest threats lose large amounts of reach, he even gets more of it. So, like a true Kraken he uses his concealment and reach to his advantage. Just don't stay so far back that you don't have any influence on the DD fights, because that will of course come and bite you in the rear. From your vantage point in the back you see the entire picture and see how your team is doing. This picture is further emphasised by her consumables, which are heavily support-oriented. She got a big instant self-heal in the form of Radiance III (doubles to 20000 if your team is behind on ships). But since the heal applies to the entire team, you shouldn't be tempted to give your hit points away without care and need and wait until multiple ships need a heal. An exception is of course a duel between destroyers. 10000 hp will obviously make a difference there. If you see that one player is 100% doomed and his demise will put you behind on ships, it might be worth it to wait (hey). The 15km/20sec radar is not a new mechanic, so I'll skip over it. We pick Priority Target to get a general sense of how badly they want us dead. Expert loader to be able to react faster to angling ships. We want AR but we also kinda want EM, since we might be forced to engage at closer ranges than we want to. Jack of all Trades helps a wee bit with keeping our team alive. Next we pick Superintendent, since our heal is such a great force multiplier if used correctly. RPF will let us know if some sneaky ship is trying to flank us while we're hanging back, slinging HE. 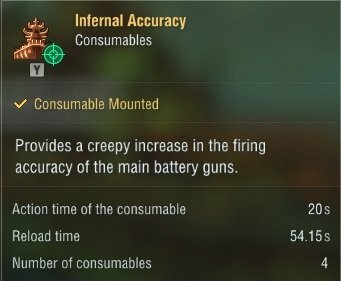 Camo Expert should make life easier in general. Puberty wasn't kind to her. 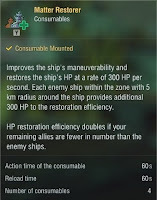 This is a stock-hull Bismarck who's main battery range has been reduced to 11.0km. Her rudder shift and top speed are a wee bit better, but hardly noticeable - still, she's obviously supposed to be up in their faces, doing Varg things. What are those Varg things? 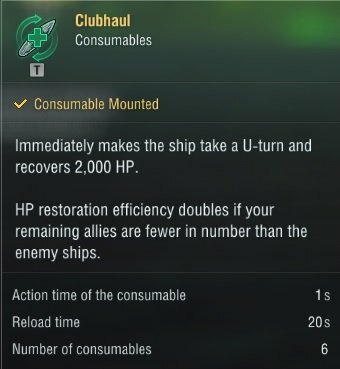 Let's take a look at the consumables. She's got the Energy Shield III we all know and love from the Sunray in the Darkness scenario - meaning she can ram ships without taking any damage. You might be tempted to use this shield for more cowardly purposes. And while staying alive certainly justifies the use of it, you should mainly try and keep most charges until an opportunity for a ram arises. Your strong self-heal Matter Restorer (at least 18000 over 60s) should be enough to keep you alive. Varg's arch enemy is the Leviathan a.k.a. North Carolina who has accurate guns to begin with and a consumable on top which boosts this accuracy to disgusting levels, enabling her to rip you a new one. The agility bonus from Matter Restorer might help avoiding those big OOMPHs. If you want to sit back while trading shots and bounce shots on your well-angled hull, go for the Leviathan - she's more accurate, has better gun angles and way higher reach. Just like the Scarab, Varg is build for aggressive plays - and those aren't the easiest to pull off. I consider a full secondary build too squishy in this scenario, thus I personally wouldn't recommend to go that route. Note: No upgrades apart from Magazine Mod 1 are available, limiting this approach even more. 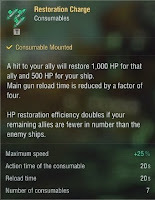 We pick Preventive Maintenance to not be tempted to use repair on a broken turret that often OR Priority Target to know hen it's safe to use all our guns. PT can also provide Intel regarding a DD's intention to use torpedoes. AR for obvious reasons, Superintendent because we'll need those additional charges to fulfil our role. Up front there's an increased risk of catching torpedoes, thus Vigilance is a rather good pick. Manual secondaries will make up for our relatively lacking gun power and reach out to 7.3km with flag. Fire Prevention in combination with High Alert makes that HE spam more bearable. She has accurate, big guns that reload in 24s. And a consumable that quadruples that accuracy. She's known for being super tanky if bow-on. Due to her AoE heal, she's the consequential centrepiece of the Twilight Fleet and that's where she wants to stay anyway - at mid-range, where she can react in time to charging Varg's and incoming torpedo-volleys while still being able to nail any targets. This North Carolina's gun range has been reduced to 15km, but that's still good enough for 2nd place and an Octopus can't be sitting out of reach for too long due to the nature of Twilight Battles - even if he wanted to. Pick preventive maintenance if you're afraid of losing turrets while pointing your bow towards big guns all the time. Pick Priority Target if you're afraid of shells and torpedoes and you know how to make use of it. Expert Marksman lowers your 180° turret traverse from 45s to 38s, which is kinda worth it in my opinion. Fire Prevention, High Alert and JoaT help dealing with HE spam, while Superintendent gives your team more staying power and grants the enemies 1-2 additional super accurate salvos from your big guns. With a whooping 200.000 hp, he's the flagship of the Twilight Fleet. But the hp pool is not the only buff he received in order to be competitive at "tier IX". His turret rotation speed clocks out at an amazing 18°/s, the rudder shifts within 6.1s (the turning circle is still the "workable" 660 m of a regular Imp), the guns reach out to 14km and reload in 15.5s. So, you can dance around your opponents while keeping your near-cruiser guns on target - very slowly (23.9 knots with speed flag). Your gun range is one kilometre short of that of the Leviathan, which is best in class - and three kilometre better than Varg's. Your guns are accurate, but the 305s lack the punch to really threaten anything but broadside cruisers (both cruiser's Armour can't be overmatched) - still, you'll be doing consistent damage every 15s. 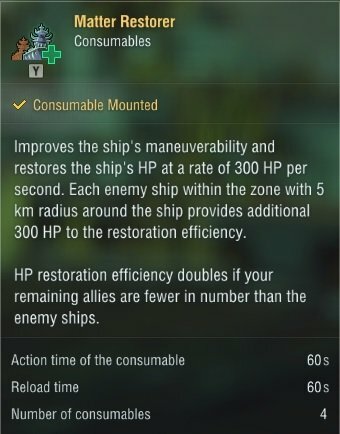 So, the enemy team can choose to ignore you, but they might find out that their battered survivors will be hard-pressed to deal with a 200k hp t4 battleship. In the end it comes down to hp vs dmg advantage. So, how to deal with Rasputin? You can overmatch most of his Armour with AP and HE - he cannot do the same in return. Also, you can ram him (see Varg) - he won't be able to run away from anything. Rasputin does only come with a stock number of two consumable charges. The first one is Inversion Charge II, a 30s life leech - which returns 50% of the damage you deal as an instant heal - the amount of times you're able to actually heal up with this depends on the distance to your target, i.e. the shell travel time. Keep in mind that you should use this ability shortly before your first salvo hits the target - not when pulling the trigger. This way you make sure to get the most out of your kinda weak self heal (compared to your total health pool). Again: You won't dish out massive alpha strikes. 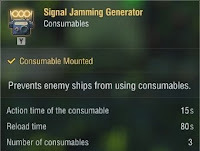 Your second gimmick is the Signal Jamming Generator, which disables the consumables of all enemy ships from being used for 15s , which can be very strong - with a big "but". Obviously you firstly have to know the other ships in order to make good use of the Signal Jamming Generator. Secondly you should be aware not only of your engagements, but preferably of what your team is doing. Preventing the near-death enemy Ghoul from using it's speed boost ability and getting away from your Razorworm is highly recommended for example. Note that this will not suppress the effects of consumables that are already in use! We pick Expert loader to be able to react faster to angling ships. AR is an obvious choice, since we don't need EM. Superintendent helps with the low number of consumable charges. High Alert and Fire prevention increase our resilience a bit more and emphasise our role as a tankboate. 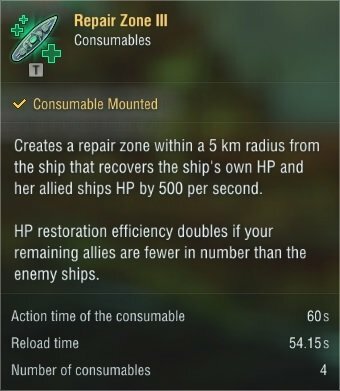 RPF and Vigilance help us mitigate the damage we take from torpedoes and enable us to corner DDs in later stages of the game. This B-hull-Benson DD with stock torpedoes has seen better times. Her consumable Covert Repair can be used in and out of fight. In-fight it will half your detection range, letting you slip away into darkness.Keep in mind that this doesn't work as long as you keep firing - your gun bloom is not affected by this. 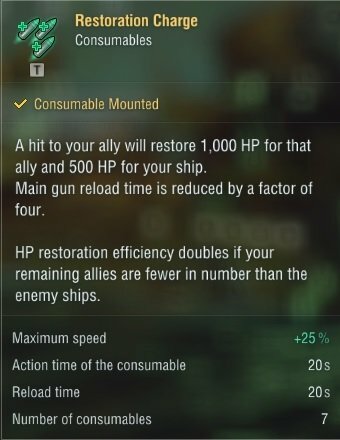 Out of fight it adds a healing effect on top, which heals for 6000 or 12000 hp over 60s, the higher number applies if your team is down on ships. 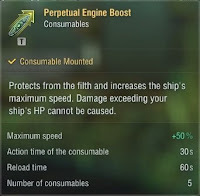 Perpetual Engine Boost has three effects: Firstly It makes you immune to the filth's DoT, which adds to the staying power of destroyers in that environment. I don't know how exactly this can be used other than luring someone really stupid into the filth, but I guess it doesn't hurt. Secondly you can't die under the effect of the consumable, but you will take damage until only one hit point remains. But after disengaging you can always pop your heal and begone for a while. And third: It turns you into the fastest boat in the west, clocking out at 60 knots for 30s. This can of course be used both offensively and defensively, but it'll likely be the latter. Her lazy arcs won't get better with AFT. You you don't have smoke and gun boating in the open is just awkward. Go for TAE and Concealment Expert instead, for the reasons above. Z23 stays true to her identity: Jack of all trades, master of none. The ship itself is on the weaker side - at least she's stealthier than the Razoworm - who eat's her alive - and she can disengage from an unfavourable close quarters fight with a Ghoul by using her smoke. She can stealth torp, tho - and those fishies hit like a truck, making the disparity of 18s in torpedo reload between her and Ghoul less important than it seems at first glance. 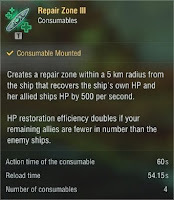 But overall this ship is all about the team - due to her consumables, she can keep it running like few other boats and she should deliberately go out of her way to maximise their effectiveness. 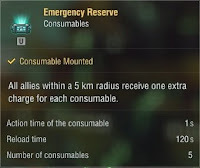 The consumable Emergency Reserve grants one additional charge of consumables to all team members within 5km. You should only use this one selfishly if you really need that one charge - otherwise return to your fleet and share the goodness. Restoration Charge let's you heal yourself and an ally with your main guns. So your Varg is charging in and getting focused? You can counter that. Stay with your fleet, screen them and hope they'll support you vs other destroyers. 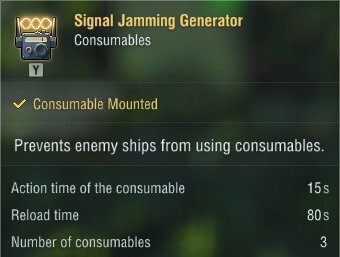 You have the longest range on your torpedoes and don't need to be more than 4-5 km away from your allies to make use of them. Remember - they hit like a truck, fewer hits suffice. This ship won't be turned into a dominating gun boat by any set of skills. I chose to go for torpedo reload and a stealthy-ish approach to at least somewhat control my engagements. Do you remember the "Kiev Master Race" of olden days? Time for a revival! Russian gunboat destroyers are not among the most popular picks in random battles let alone competitive modes, because they seem to have an identity crisis. Build as real life flotilla leaders, they struggle to do one of a destroyer's most important jobs in world of warships, which is cap contesting. These Russian bear cups want to stay at mid range to most targets or strive to get the jump on other small boats by using hard cover or a friendly stealth boat in front of them. Most of this doesn't really matter in Twilight Battles. There are no caps and on top of that she has the most fun consumables that make up for some of her weaknesses. "Counter-Aiming System III" basically makes you immune to all shell fire for it's duration - minus the shells that were already in the air when you popped it. It greatly increases the dispersion of enemy ships that are sending you presents, so they mix up the postal code every time. This means that you can be very aggressive at times, for example at the beginning, where you should try and intercept the enemy DDs and give them a good rub. 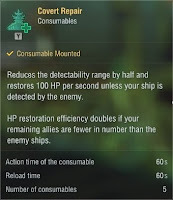 This consumable effectively gives you a great health advantage over any other DD - and you have by far the most hp to begin with. Also, she can use this to easily close in and torp more or less isolated BB, using her great speed. The next spoiler contains some footage. Notice the Leviathan's salvo at 0:03 and the other at 0:05 (in the back). Looks more like secondary fire. 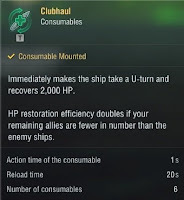 The other consumable, Clubhaul, isn't any less spectacular or useful. It instantly flips the ship by 180° while keeping the momentum and healing the ship for 2000 hp over time, making your impressive health advantage over other DDs even bigger. Only downside is that the turrets will have to catch up with this manoeuvre, but they're fast enough to not be annoying. This can be used for many reasons - some of which I surely can't even imagine, yet. Firstly you can obviously use it to dodge torpedoes or shells. Secondly you can lure an enemy DD out of position and then instantly close the distance on him. Third, you can use it to quickly disengage. Demolition Expert brings 20% increased fire chance to the table while BFT increases the gun reload by 10%...your pick, I recommend DE. AFT keeps us out of comfortable gun range of cruisers and BBs, but don't get too cocky, cause hitting this ship at 11km is no rocket science. I don't think there's room for RPF, you could trade in AR and DE for this skill, but so far I wouldn't really have needed it.